As I crossed the River Severn a couple of times this afternoon (in the car ! 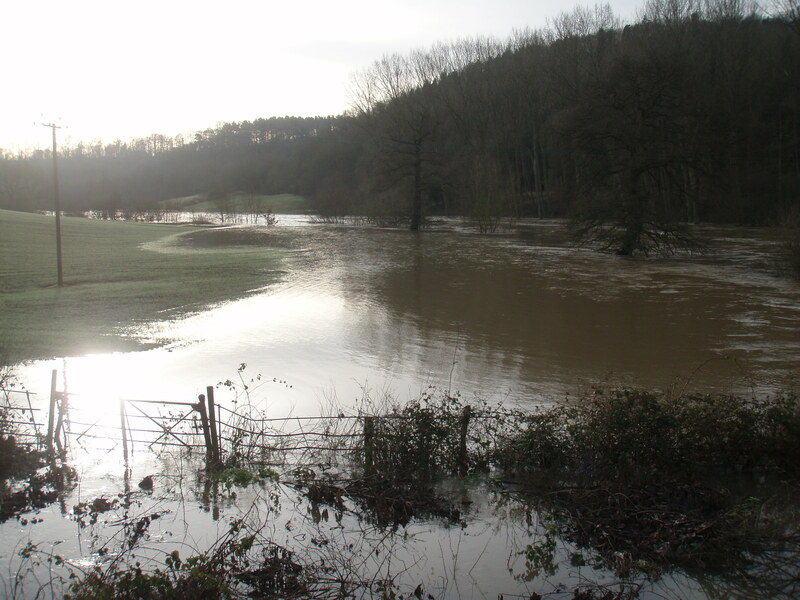 ), I looked at the fields either side of it, completely under water, making the river appear about 6 times wider than usual. There’s been much media commentary of course of extreme weather patterns, but that’s not to forget that similar extremes also occurred in the past, such as those in 1947. A Mr Todd kindly sent me a photo which I’ll post here asap. This is a shot I took from Apley Bridge in 2008 of the River Severn in flood. I recently heard & read we may be heading for another Maunder Minimum 1645-1715 (caused by low solar activity) when the Thames froze over – uh oh ! Meantime, life continues at Apley Farm Shop where Sophia Thorneycroft (4) of Kingswinford was the winner of January’s Pigg’s Playbarn colouring competition (she won a Playdoh set). Skylark Nature Trail is looking rather soggy, but at least walkers can glimpse there the first signs of Spring. I’ve just booked Bob Thomas again to come back on Sat 7 June to give the Apley Cookery Club members a foraging walk. Elizabeth Beckett has been in the Shop today promoting her lovely Apley Walled Garden hand creams. They make great Valentine’s Day presents, along with the Apley Special Deal for chocolates, sparkling wine from Halfpenny Green (they also do delicious fruit wines) & a rose. For next Friday, I found a very seasonal recipe in a romantic cookbook, Sir Toby’s Leek & Bacon Bruet, from The Food of Love by Alan Deegan & Alycia Smyth Howard. No idea why it’s Sir Toby’s leeks ! I’ve paraphrased it here: Fry 500g bacon in 50g butter. Add 200g onion, 500g leeks & 25g grated ginger & cook for 10 mins. Add 100ml white wine & reduce. Then add the 200g ground almonds & , 400ml stock & again reduce by half. Add 100ml double cream & yet again reduce by half. Thicken with 1/2 teaspoon of cornflour if required. Serve in a soup plate with creamed potatoes. But what really cheered up February (so far !) was the news of that Amazing feat by 2 Shropshire boys (who trained on the Severn in Shrewsbury) to successfully row across the Atlantic – http://rowing4research.com. Raising money for leukaemia & diabetes research, Apley Holiday Cottages was very happy to support by donating to their auction a long weekend for four. I have to admit I was worried about such an ambitious trip, so am extra impressed they made it, in such good time too & raising so much (nearly £150k) along the way.